Five Point Cafe is a Seattle, WA watering hole that opened in 1929. BC contributed these photographs, describing the Five Points fixture as: "...a tiled wall and pit with a roughed-in water 'flusher'. There is a large periscope that one views through a window while [using the installation]. 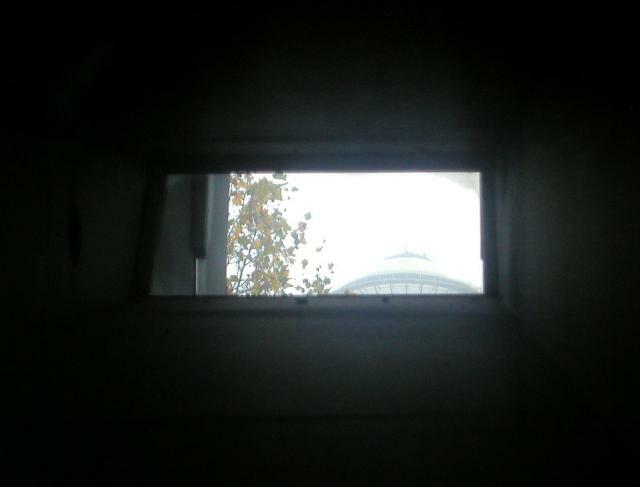 The view through the pane is of the world famous Space Needle." Prohibition in the United States extended from 1919-1933. The Space Needle was built in 1962. There must have been an awful lot of staring at nothingness when Five Point Cafe first opened in 1929.